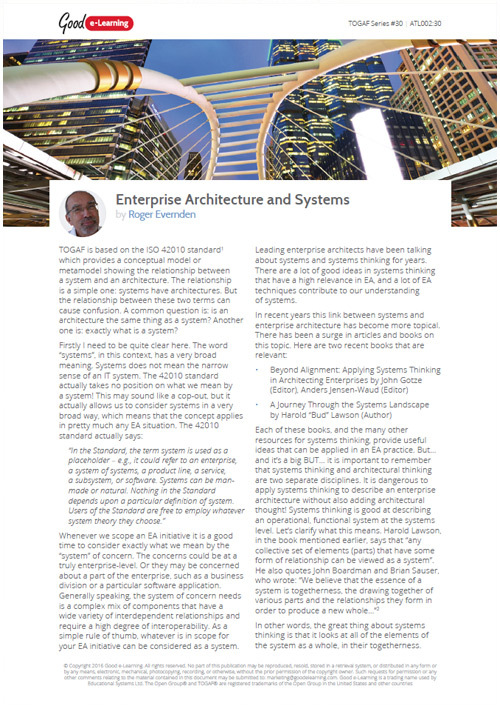 Enterprise Architecture and the concept of systems are very closely related. But systems thinking and architectural thinking are quite distinct. This point is sometimes confusing. In this poster we explain the fundamental differences, and explain how the two types of thinking complement one another.